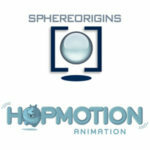 HopMotion Animation, a division of Sphereorigins Multivision Private Limited is a creatively driven full service animation studio focused on original IP and international service work for television and digital networks. HopMotion is looking for a senior character designer and concept artist who is passionate about 2D animation. The candidate will be in charge of ideating and creating character designs and concept art for ongoing and upcoming animated shows. Please apply to careers@hopmotion.com and mention the position you are applying for in the Subject of the mail. To be considered for the position, please include a link to your portfolio. Candidate should have excellent Story telling & Composition skills. Knowledge in Toon Boom Storyboard is advantage. Beginners with strong art background and animation training can also apply. Please apply to careers@hopmotion.com and mention the position you are applying for in the Subject of the mail. To be considered for the position, please include a link to your showreel. Candidate should possess excellent traditional drawing skills and observational skills. Knowledge in Toon Boom Harmony is an advantage. Software training will be provided. Beginners with a strong art background and animation training can also apply.